In today’s world, there’s a lot of money put into digital advertising. 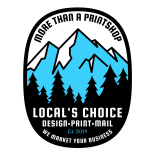 Whether it’s spending big bucks on a custom website or buying Facebook ads, it seems that less and less money is being put into printing services. This is especially true with advertisements that go into newspapers and magazine. But there are some things that just never seem to go away. That’s because the items you get at a print shop can be put into someone’s hand, and that’s not something that can be done with digital media. Yes, it’s nice to have a great website, but people are going to have a hard time remembering how to get to your site if they don’t have a friendly paper reminder with them. That’s why you still need to consult with professional printers in order to get the custom business cards, flyer printing, and brochure design. Here’s why each is still so important in today’s world. Business cards and calling cards have been around for hundreds of years, and we honestly don’t see them going away anytime soon. Sure, you can tell someone your name. You can tell them what your website is or tell them to find you on LinkedIn. But if you don’t have a business card to give them, they probably won’t remember any of that information. Strangely, business cards are like little gifts. Gift giving has been part of the human experience for as long as there have been humans, and exchanging business cards is part of this long-standing ritual. Simply giving someone a business card brings two people closer, and it also means that they’re more likely to do more business with each other in the future. If you have a front door, you’ve probably pulled flyers off of the doorknob lately. Considering we just had an election, we’re sure of it! Whether you’re taking your flyers door-to-door or are handing them out in your store, they’re going to be useful because you’re getting them to people and the people have to do something with them. Yes, there’s a chance that they’re just going into the trash or are getting recycled, but anyone who’s even slightly interested in your business is going to keep it around until they decide what to do with it. They might run into it many times in their home or car and think “you know what, I really should follow through with that.” And that’s not something that’s going to happen with a website. IPads and tablets have their place, but there are many instances in which simply having a brochure to give to people makes a lot more sense than only having the information on your website. Here’s an example. The other day we had someone stop by trying to sell us windows. He got out his iPad and flipped through the presentation, zooming in on parts of it. But it was embarrassing because his cell service was weak and he couldn’t get everything to work properly. Everyone had to be gathered around a small tablet, and, unlike a brochure, everyone else was afraid to touch it lest they risk ruining the presentation. The salesman had to worry about battery life. And at the end of it, he couldn’t leave the iPad behind…like he could have if he had a brochure. Brochure printing might not be exciting, but we think this story proves that sometimes it just makes more sense. Our Print Shop Has What Still Works! No matter how digital the world gets, we will always see paper-based ways of getting information from one person to the next. 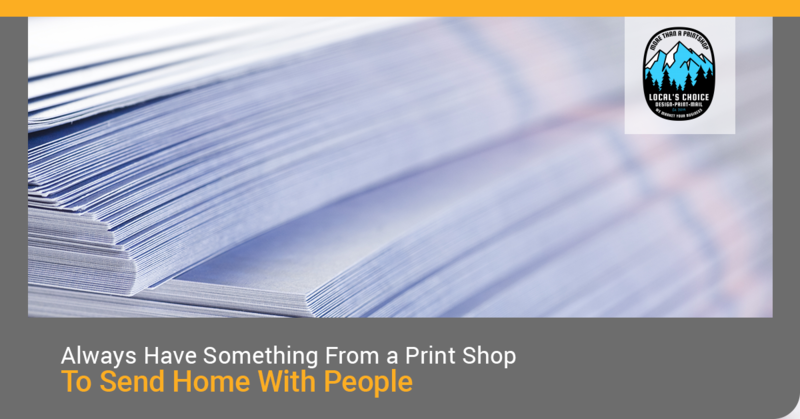 If you’re ready to get back to what works, contact our print shop in Chico to see what we can do for you! 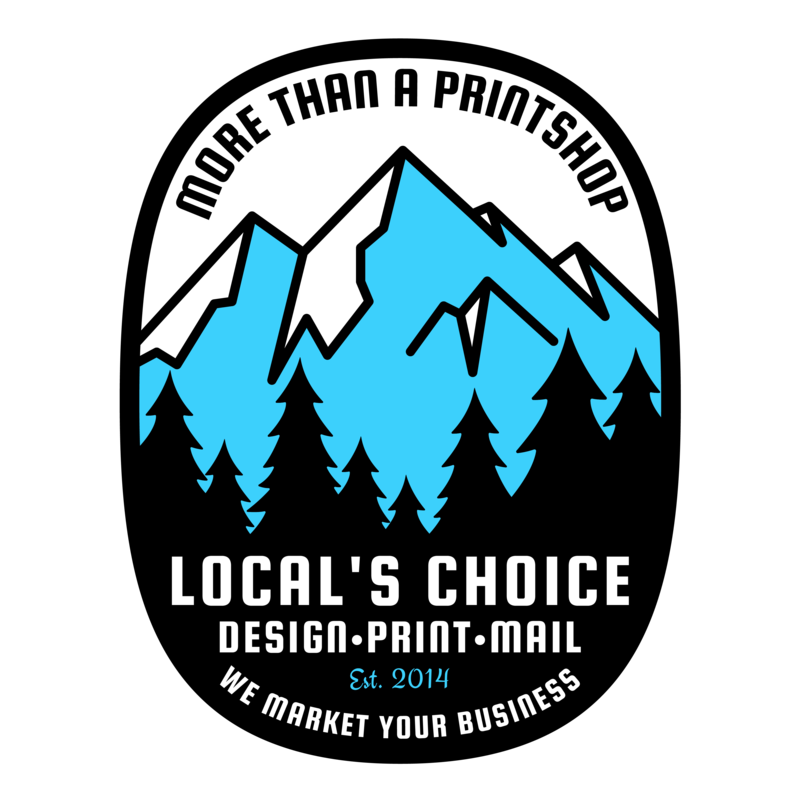 ©2018 Local's Choice Printing. Do Not Copy.